Spa massages provided by us gives you relaxation for long period of time. 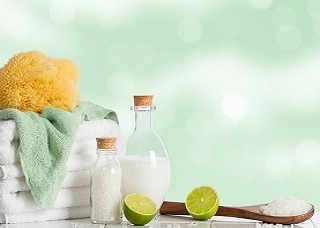 Body Spa is a widely known and one of the oldest and best SPA in Bangalore. We offer a haven of tranquillity for people who are searching for an exclusive, unique, reviving and relaxing urban retreat. Body Spa offer an array of rejuvenation and wellness programs that revitalizes your body, mind and soul. We create a unique and ultimate experience of wellbeing for every visitor. Body Spa provides an atmosphere that transcends the guests from their daily stressful routine life to highly pampering environment of absolute mind, body and soul relaxation. Our exclusively developed and handpicked spa treatment enmeshes you with a feeling of relaxation and satisfaction. Being one of the most sought spas in Bangalore, we have carved niche for ourselves in the spa and body massage segment. We have our spa centers in HSR Layout, Koramangala, Whitefield, Indiranagar, Sadashivanagar, MG Road, Brigade Road, Marathahalli etc. With the ambience of enthralling light, tranquil music, mesmerizing aromas, luxurious facilities; you will explore the environs of equilibrium and havens of wellbeing. Our wide range if spa treatments are exclusively selected to rejuvenate the body and mind to attain the inner essence of happiness. We ensure that you will feel the peace inside and get the positive vibes in mind. We have modern massage techniques, traditional therapies and an infusion of new elements to create a unique experience of wellness. Reflecting elements of nature, our Spa in Bangalore is spacious, aesthetic, luxurious and has been designed to offer a gamut of rejuvenating and revitalizing experiences. Our ultimate goal is to create a sense of upbeat, happiness and pleasure when you leave our spa. We understand that you visit us to get relieve of your stress, tensions of your hectic day to day work life. Accordingly we have designed our services to give your body much required boost and liberalization of your mind. Our SPA treatments in Bangalore improves blood circulation, stimulate the brain cells, reshapes your body appearance and instils a sense of bliss that last long. We have taken an integrated approach to developing our Spa treatments to ensure we capture the essence of what is required as a result of today's lifestyle. Our spa center integrated with Body Massage Treatments are perfectly designed to offer the best experience for you. We are one of the widely known spa in Bangalore. If you are searching for spa center in Bangalore? 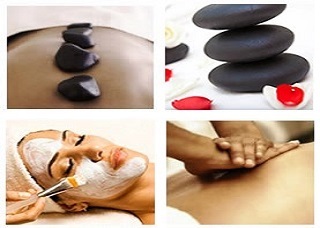 Contact Body Spa, one of the renowned name for SPA services in Bangalore. We have professional and expertise teams who have a good experience in full body massage, oil massage, deep tissue knead and full body rub. By having spa treatment with us, you can get many physical benefits which include loosening tight muscles to increase flexibility. The products used at our spa centre are very good and are made of natural herbs and oil. We always go with modern techniques for body massages. 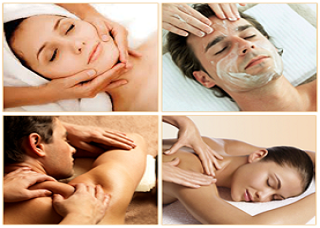 At present, the spa centers are creating a huge demand in metro city like Bangalore. Most of the people in India are leading a life of stress leading to various physical problem. To overcome with stress and anxiety they approach the spa centers, but most people find it difficult to find a good spa service center in Bangalore. Consult the Elements Spa, the best spa in Bangalore.